The gaming platform is facing a paradigm shift from desktop to mobile gaming. More and more people are switching from the graphically oriented desktop gaming to on the move gaming with their smartphones. Among all the games, baseball is one of the most played game in the western hemisphere of the globe. 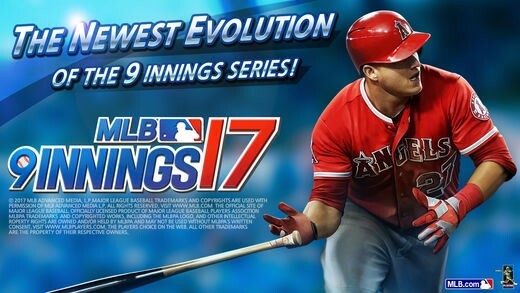 These baseball games, initially when released didn’t compare to the console games; however, they are slowly catching up. In this article, we will discuss the 10 best Baseball Games for Android devices based on the gameplay, graphics, and features that come with them. After comparing a lot of games available on Android, we have come up with this list of the 10 best Android Baseball games. 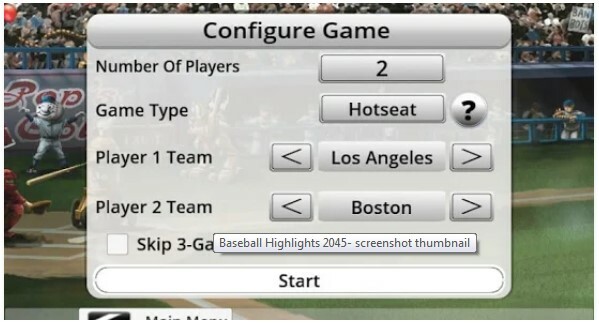 Eagle-Gryphon games and Mike Fitzgerald have developed this one of the best baseball games for Android called Baseball Highlights 2045. There are multiple reasons for this game to be called as one of the best Android baseball games that include four 15-man starting teams, intuitive and interactive user interface with an integrated rulebook and more. The auto-save and resume options help you continue the game from where you left off. One of the free baseball games of android, MLB 9 Innings 17 is an excellent baseball game on the go. However, you have to collect player cards to build a roster. The game mechanics cover all the basic game protocols with an excellent interface. Comparatively, the gameplay is a little unrealistic and yet a fun way to pass your free time. The automated simulated system allows you to finish the game quickly. 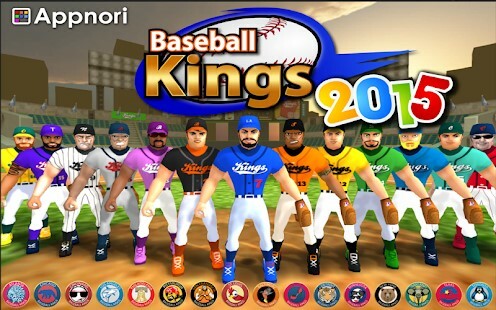 A simple baseball game with a complete strategy and outcome, Baseball Kings helps you select a team and play baseball by upgrading the players. The game mechanics that come with several difficulty levels make it all the more fun and entertaining. The flick of your finger decides your pitch speed, location, and movement of the ball. With options from rookie to major leagues and regular season to world series, you can experience it all. No doubt it is on the list of the best Baseball games for Android. Another Baseball games for Android App, which gained popularity in a quick succession of time. 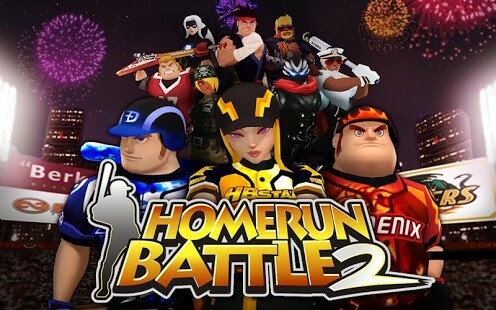 Homerun Battle 2 offers PVP battles against other players all across the globe. There are 6 different modes, each mode defines a different difficulty level for you to train, survive and play against other players. 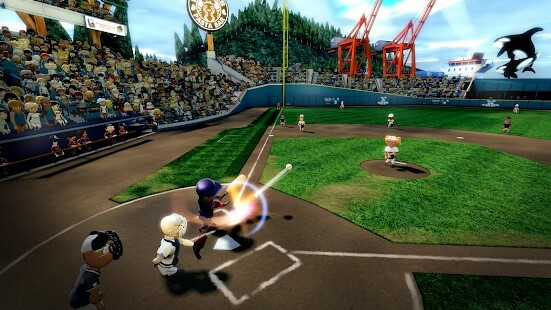 With features to customize characters including gender, body structure, skin tone and many more, and also to accessorize the characters with clothes, style, and bats too, this game has to be on the list of the best Android Baseball games. 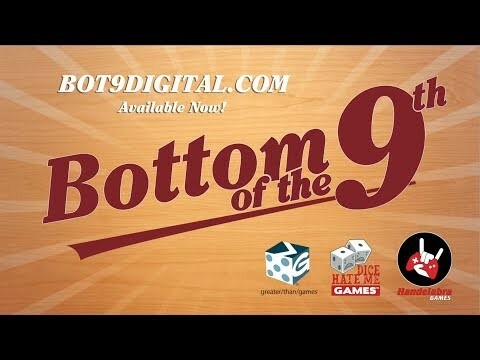 A unique 2 player Baseball Games App, Bottom of the 9th is really a fun to play the game with your friends. The gameplay here is that one player throws the pitch and the other player has to guess the pitch direction. With 3 difficulty levels – single player, local multiplayer and online multiplayer mode, this game allows each character to have their own attributes and abilities. This is another best Baseball game for Android that comes only in the paid version of the App. It is a unique and entertaining game to pass the time locally and globally, and it is worth every penny. 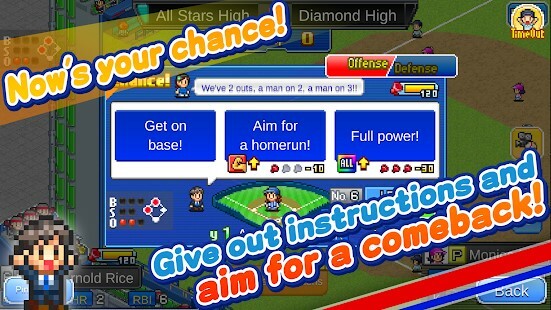 Home Run High is one of a kind Baseball Games App that is more inclined towards facility orientation in the game. The players of this game feel like a practice drill with simulation as the base. You have to make teams, upgrade players and even manage the teams that are similar to a real team, with the simulation making it all the more real. It comes with facilities like dorms, players, in this case, get to study strategy and their academics alike along with the gameplay. It is a different yet convincing simulation to be considered as one of the best baseball games for Android. 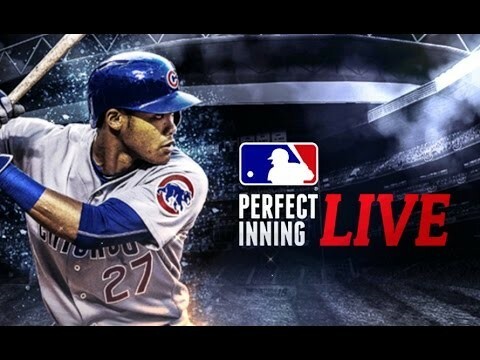 A real-time Baseball Android App, Perfect Inning Live approved by MLB has options to upgrade your players based on their current real-time statistics and play. This Baseball Games App is much more fun for those who are interested in baseball, as you will also know about the current statistics of teams and their progress in the current season. You have features to trade players for your roster, real-time PVP battles, multiple stadiums, team and player management, season modes, missions to build players careers and more. You have pretty much everything you need to run a baseball team in this game and hence, it is on the list of the best Baseball game for Android. MLB has a lot of Baseball Games App popular among all age groups due to the features it offers. 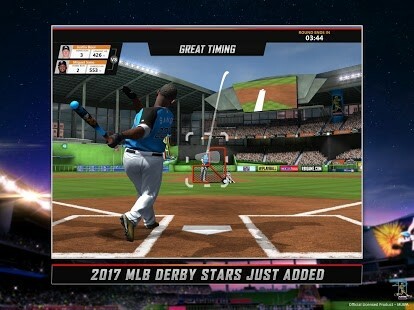 This App, MLB Home Run Derby 17 is one the best Baseball App due to its features like, double the MLB ballparks, batter up (new bats in the inventory to unlock), 3 fun game modes which are Multiplayer Derby Mode, Arcade Mode and Single Player Derby Mode with their respective difficulties and more. With multiple stadiums like Marlins Park, Dodger Stadium, Busch Stadium and more, you have an option to unlock all these maps while you play and have fun. No doubt it is one of the best Android Baseball Games App. 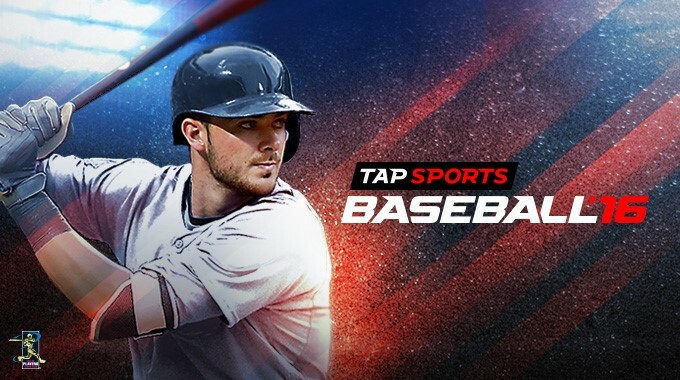 A series of the freemium baseball games with a new game release every year, Tap Sports Baseball is in the spotlight for quite some time. The reasons for this game App to be in the spotlight and be called as one of the best Baseball game for Android are its amazing features. Mature graphics with excellent game mechanics, real-time baseball rosters with events like tournaments, social gaming features, real-time PVP and team customization and much more. With options to play major baseball league, you can manage both players and a team to ensure a victory. The last on our list of the best Baseball game for Android, but definitely not the least, Super Mega Baseball is an excellent and quite expensive Baseball Games App. The reasons for its cost is easy to explain – the features like realistic simulation, ridiculously hard difficult system, 4 player co-op play, intuitive and interactive gameplay, detailed batting and pitching statistics and player customizations. With these excellent features, the cost of this Baseball Game App seems rather less but is comparatively expensive. Our list of the best Baseball Game for Android mainly consists of those Apps that have real-like gameplay features with as much affordable prices as possible except for the last one. We have listed only those Apps that have received immense reviews and have excellent features added to them. This list will definitely help you choose an entertaining and the best Baseball game for Android, that will make sure that you have fun with your friends and a good time.